This was a special occasion as John Pocklington joined us to scatter his father Alan's ashes. Fourteen of us gathered on the hillside above Scar House Reservoir with a beautiful view down the valley. 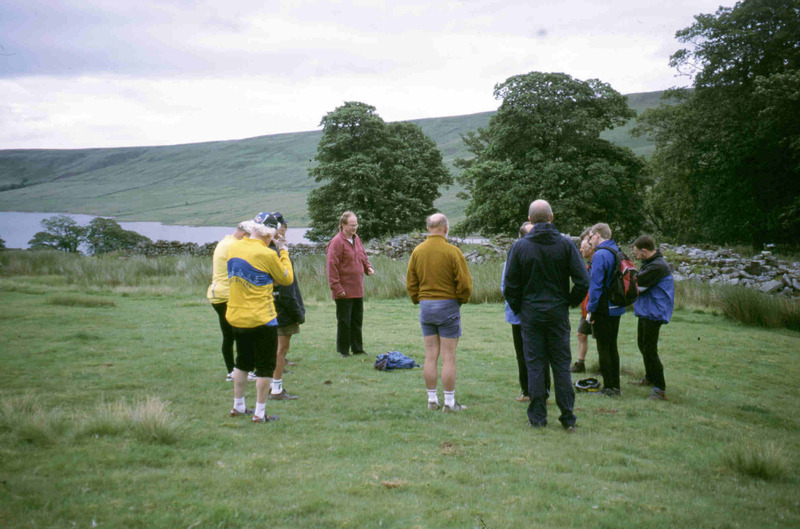 We remembered the many rides Alan had led in all weathers: rides over to Coverdale and across the remote moors to Wharfedale. Alan was a great companion with a fund of interesting and often historical information. We shall miss him. We continued the ride taking the steep walking track (though somewhat improved) up Dead Man's Hill. Then, the rather rough ride down into Coverdale, where we met two friendly, hungry horses and a large group of small ponies. Enjoying our sandwiches we watched them being led into the correct field. Turning left up Coverdale we climbed Park Rash and sped down to Kettlewell. Taking the quiet side of the Wharfe through Conistone and Grassington we reached Hebden, where the Old School House provides good home-made teas, I had an easy pleasant ride with a following wind on down the Wharfe to Bramhope. 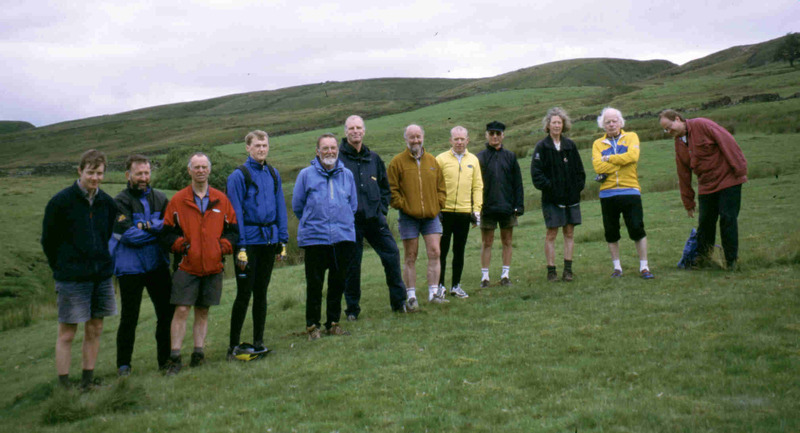 The main group took the bridleway near Hartlington Hall which climbs steeply at first but is then rideable, and cuts out a lot of the main road climb up to Greenhow.